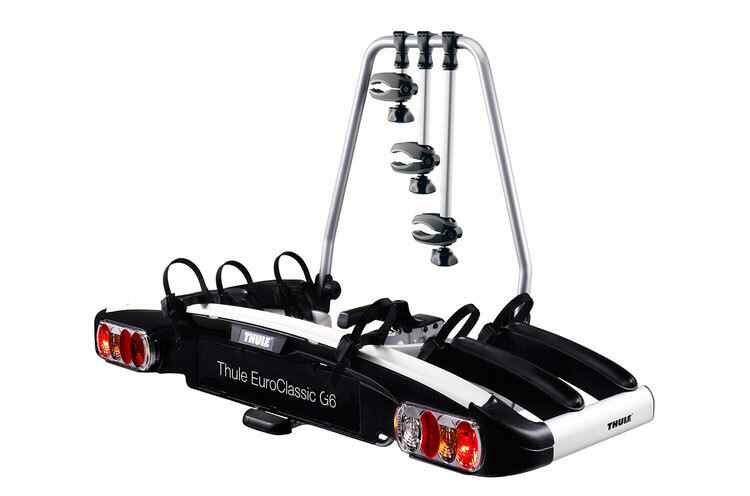 The Thule EuroClassic G6 is the ultimate tow ball mounted cycle carrier allowing you to carry up to 4 bikes. 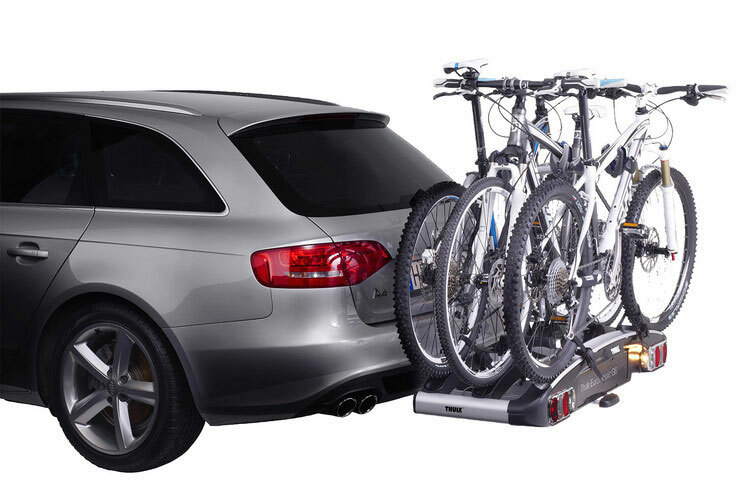 The EuroClassic G6 is a modern and stylish tow bar mounted cycle carrier that's very easy to use. Attachment to the tow bar is simple, lift the carrier onto the tow ball and close the lever. The clamp mechanism is then locked with a key to prevent unauthorised removal from the towbar. Bikes are secured onto the carrier using wheel trays with quick attachment straps and soft grip clamp around the bike frame. 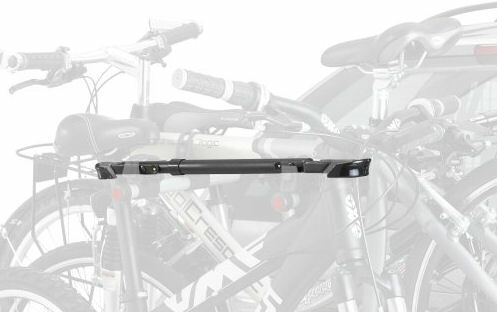 The frame holders are detachable so you can load a bike and then fit the frame holder for easier loading. 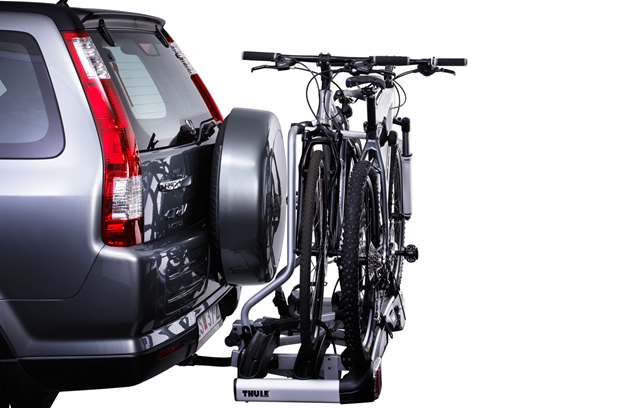 For maximum security the frame clamps are lockable which locks the bikes to the carrier which itself locks to the vehicle. 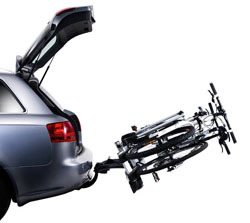 When loaded with bikes, you can tilt the carrier to allow access to the boot. To tilt the carrier simply depress the footpedal positioned at the rear of the carrier. A built in stop prevents the bikes from touching the ground. 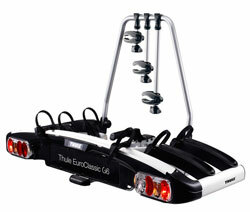 There are 2 models available: EuroClassic 928 (2 Bikes) and EuroClassic 929 (3 Bikes). 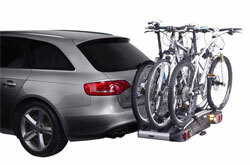 An additional bike can be added to both models using the Thule 928-1 Extra Bike Adapter. Required for fitting the EuroClassic G6 to cars with a rear mounted spare wheel. Increase the capacity of the Euroclassic 928 & 929 by 1 bike using this adapter.